Since we get a lot of posts providing suggestions for franchises that Telltale should tackle, it makes sense to keep them all in one place, lest the foru-COMMUNITY get clogged up with loads of these threads. I started an account on the site for the sole purpose of agreeing with you! Doctor Who has exploded as a cultural phenomenon in recent years. I also think that the adventure aspect of the show is unrepresented in the available games. Telltale would be the butter to Doctor Who's bread! I, personally, would buy the CRAP out of that game if it were ever made. BBC should capitalize on the success of Doctor Who by granting Telltale the license to make a series of games! I think if anyone could do the series justice, it would be TT. The problem I have found with the currently available games are that they are too focused on 'action' and not on the interactive adventure element. Perhaps you could play as multiple incarnations of the Doctor as the story progresses... or have a multi-Doctor story as the main idea? Something that could have worked well or the 50th Anniversary this year. Agreed. It's probably the best way of doing a proper Doctor Who game. Anyone played the DS game they made, Evacuation Earth? It was like a kiddie version of Professor Layton. Doesn't that just sound equally perfect? I kinda already made a post for this in the old forum topic but I save myself the trouble by simply copying and pasting that post onto here. What I would love to see Telltale do next is a Vampire: The Masquerade (The Classic World of Darkness) game. I think Telltale should maybe do a game based on some Japanese Manga or even Korean Manhwa in a graphic novel style like TWD or TWAU. Like Tower Of God for example. This may also increase their customer base in Asia looking at it from a business point of view. Also maybe take one of the more adult and much darker superhero comics. Like The Boyz... not a great example and its universe is a 'little' extreme, anyone who has read it will know, but only one off the top of my head. I kind of agree with the vampire thing and I haven't played Vapire: The Masquerade for a while. I do think they could do something with the Underworld franchise if they were to do something based off a movie. But there are so many to choose from. But one of the main strengths that Telltale seems to have is to take something that is popular but not wildly popular and bring it to larger audiences. What would be awesome is an upgradable Poker Night At The Inventory. Updates with every game release. 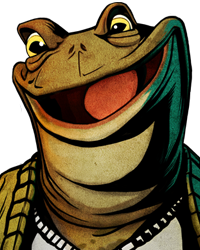 It seems like it's been forever since Telltale did a comedy game. Back to the Future had some funny moments, of course, and Inventory 2 was great, but we haven't had a straight comedy adventure game since Sam & Max 3. 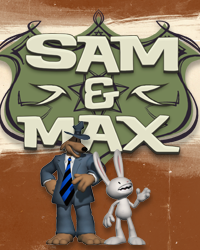 So yeah, I want Sam & Max Season 4 more than anything. But my impossible dream choice? I'd love to see them continue a relationship with DC and do a game based on The Spirit. I think a Bill & Ted season would be a great fit for Telltale. It would work great within the episodic format, you could have a different era in time per episode. 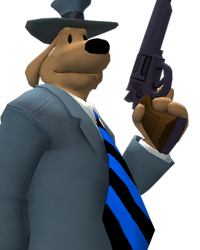 The game is designed to be one episode and would be set before the events of 'Reservoir Dogs' and focus on the gangster, Joe Cabot, selecting members for the heist crew. He lays out 6 photographs, each featuring a member of the team: : Mr. White, Mr. Blonde, Mr. Pink, Mr. Orange, Mr. Blue and Mr. Brown. The player then decides which picture to choose and what order to play each segment - much like Walking Dead: 400 Days. 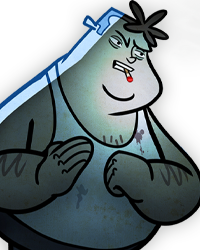 Each segment showcases a previous crime in which the pictured crew member was a part of - except for Mr.Orange's segment (no pun intended) which is exaggerated as it is completely fabricated - he is a cop after all. The game ends once all of the pictures have been selected and shows Joe leaving his building to meet the crew at a diner. I was just thinking about this recently and think that many of Quentin Tarantino's films would work as a Telltale game. I have decid… moreed to try and flesh out some of these ideas; here is the first: The game is designed to be one episode and would be set before the events of 'Reservoir Dogs' and focus on the gangster, Joe Cabot, selecting members for the heist crew. He lays out 6 photographs, each featuring a member of the team: : Mr. White, Mr. Blonde, Mr. Pink, Mr. Orange, Mr. Blue and Mr. Brown. The player then decides which picture to choose and what order to play each segment - much like Walking Dead: 400 Days. 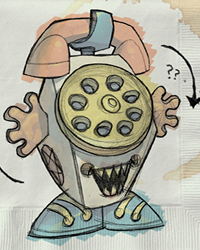 Each segment showcases a previous crime in which the pictured crew member was a part of - except for Mr.Orange's segment (no pun intended) which is exaggerated as it is completely fabricated - he is a cop after all. The game ends once all of the pictures have been selected and shows Joe leaving his building to meet the crew at a diner. Well Hi everyone and Telltale games reps, your work and your games are just amazing. I've recently completed Wolf Among Us first episode and can't wait for the second chapter to be released. On with my suggestion. I'm a Dexter (Showtime tv series) fan who really enjoyed the opportunity to play Dexter:the game once it came out. Well, I didn't know about telltalegames back in the days so I thought there was no other options left other than sticking to it, but - and I don't mean this to be taken as an offence towards who actually developed that game - now I'm pretty sure that telltalegames could've delivered a much better product. Basing on Dexter's characters, twists of the TV show storyline (most of em actually based on Dexter's choices), I believe it could be a TV show that almost perfectly meets TellTaleGames goals in terms of gaming experience. One thing I'm sure about, TellTaleGames could definitely add much more depth and an huge overall appeal to such a franchise. Thanks for letting me giving my opinion/suggestion! On the other hand I totally back up SteveoTheBeveo on Vampires The Masquerade Bloodlines, because I loved playing that RPG and I've welcomed with the greatest of sadness Troika Games shut down. Think those guys deserved to keep releasing games in the industry. Hey, my second idea for a Quentin Tarantino inspired game made by Telltale would be based on Pulp Fiction. My favourite character in Pulp Fiction is Winston Wolfe, a 'cleaner'. The character (played by the amazing Harvey Keitel) always seemed like he had this grand past and an almost lore-like quality. 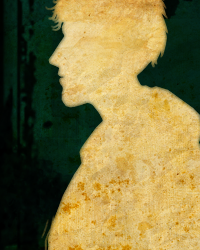 Wolfe would be the main protagonist and be controlled by the player. Thus, I present 'The Wolfe'. 'The Wolfe' would be a 5 episode series detailing various exploits undertaken by Winston Wolfe, all while tying the story together with an overarching plot. 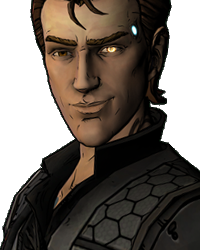 The character seems like he would fit right in with the style of gameplay offered in Telltale's recent outings and also provide many witty dialogue options. Tarantino movies would be wow. I think the style would be very workable as well. And the dialogue... oh man. But what I'd really kill for is a Watchmen game, so many options in that universe. Music from that era, tone, style, atmosphere, it's all there. I agree, Watchmen would be awesome. Here is another Tarantino based idea. 'Royale with Cheese' would focus on Vincent Vega's time in Amsterdam over 5 episodes as partly described in Pulp Fiction. I feel Amsterdam would be a brilliant setting and work very well with the neon art style present in 'The Wolf Among Us'. Vic Vega from 'Reservoir Dogs' - Vincent's brother - could also feature. Tarantino movies would be wow. I think the style would be very workable as well. And the dialogue... oh man. 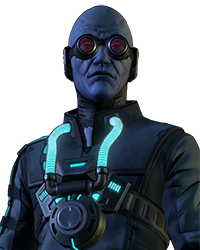 But what I'd really … morekill for is a Watchmen game, so many options in that universe. Music from that era, tone, style, atmosphere, it's all there. 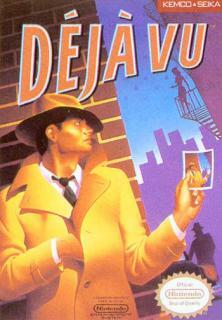 Since ShadowGate is getting a remake by another company soon, The Wolf Among Us reminded me of DeJaVu. It would be awesome if that game was remade with this style. I like this. I like this alot. I'm definitely giving you a thumbs man. I actually would consider buying this since I am huge Tarantino Fan. 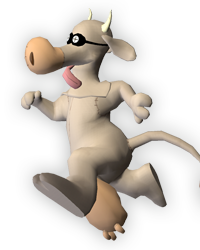 I actually would love to play as Dexter in a video game. Could easily give us a real hard experience within his mindset. (though it should be before Season 3 and so on considering how bad it had gotten after the original writers left) I actually feel that the game could be a nice way to appeal to alot of the fans of the show while also helping show that the premise for it can still be incredibly engaging. I also appreciate your support for my game choice. I really felt like Troika Games had a really impressive development team that brought out the best in Western RPGS such as with Bloodlines, Arcanum: Of Steamworks and Magick Obscura, and The Temple of Elemental Evil. It was really Bloodlines that I loved the most out of these games because of the huge replay-ability that the game brought. (especially if you played Malkivan ) But because Activision thought it was a wise idea to bring the game out (when it wasn't even finished with Alpha Testing) against Half-Life 2 of all the PC games to compete against and ended up costing the entire company because of poor sales. Really sad because the fan-base is the only reason the game is even known in the first place. 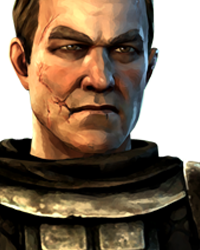 (God Bless Welp5 for his contribution to making all the patches for the game) The guys really deserved better, its sad that we can never see a genuine sequel to the game, but I feel like asking TellTale because they can bring it back by using the Telltale Tool and focusing on the story and characters. Its grasping at straws but I still would love to see it happen someday. Thanks! It's good to hear that others like my ideas. Here is my last batch of Tarantino-related ideas. Five Poisons - The story of the ‘Deadly Viper Assassination Squad’. Each episode focuses on a different member of the squad: O-Ren Ishii, Vernita Green, Elle Driver, Budd and culminating with Beatrix Kiddo. 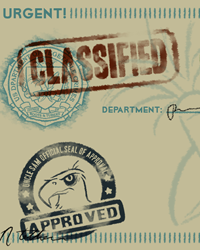 The player plays as each member during various assassinations throughout the 5 episodes. The final episode features Beatrix Kiddo leaving Bill and abandoning the DeVAS. This series allows for the characters to be fleshed out. If a character is particularly popular they could eventually get their own series. Stiglitz - The story shows Hugo Stiglitz’s rampage in which he kills 13 Gestappo officers throughout the 5 episodes. The player takes control of Stiglitz up until his apprehension and imprisonment in Berlin. I feel that Stiglitz would be an interesting character to play as. 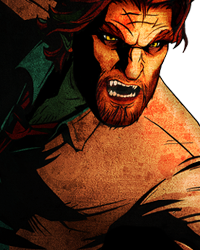 He is very different from Bigby as he is rather quiet and antisocial – he more closely resembles Lee in character. Shackles - We first see an exact shot by shot remake of the opening scene in Django Unchained. The story however breaks off when King frees the other slaves. The player then takes control of one of these slaves. The group of slaves then travel on their own revenge quest, wreaking havoc on previously lived plantations while parting ways with Django and King. 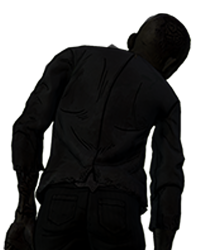 This would allow for an all new protagonist (much like the Walking Dead) while also keeping a central group of strong characters – 4 freed slaves including the player. Ta da! That is my ideas list exhausted… for now. I would not be surprised if I make more of these in the future as I have really enjoyed it. Well, all our VTM talking pushed me to the point that I'm one click away from reinstalling it just for a little ride around...While hopefully waiting for TTG to do something about us RPG nostalgic players? Nice!!! I am surprised that anyone still has the disc versions of the game. (Sadly never got the game until much later on, but MAN AM I GLAD THAT I STILL DID ANYWAY) I have the game on my Steam account too and I still play it from time to time. Game is really addicting even after all this time, it just has the right kind of charm that juts keeps on making me want to play it again and again. Hopefully TellTale will at least express interest in making a VTM game for us RPG players for nostalgia. XD Sure its selfish but man I would buy the game in a heart beat. What can I say...You made my want digging my videogames box of memories just to show some love to it! lmao https://www.dropbox.co… morem/sc/boonmlbe106iaf6/jhGgjoss0X The Malkavians...I recall finding the appropriate answer during interactions with other NPCs was more than a totally challenging experience...Because there was none at all! lmao Well, all our VTM talking pushed me to the point that I'm one click away from reinstalling it just for a little ride around...While hopefully waiting for TTG to do something about us RPG nostalgic players? I could see Telltale games making a Twin Peaks game. 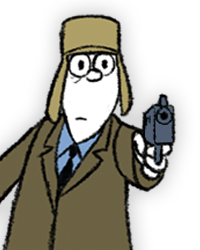 Also TWAU art style reminds me of Watchmen. I would love to see the Journeyman Project games given the good ole Telltale games treatment! Still one of the best adventure games I have ever played. I was completely immersed in it when I played it back in 1995. Anyone else ever heard of this one? Good lord, your logos are AMAZING... Oh, and also I like your ideas too. Just got back into Ultimate Marvel vs Capcom 3 again. I know telltale only does episodic content, but I'd love to see a telltale marvel vs capcom style fighting game. 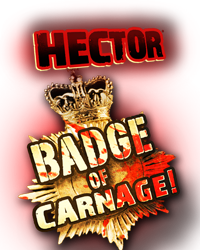 Hector Badge Of Carnage Season 2.
:O Nice!!! I am surprised that anyone still has the disc versions of the game. (Sadly never got the game until much later on, but… more MAN AM I GLAD THAT I STILL DID ANYWAY) I have the game on my Steam account too and I still play it from time to time. Game is really addicting even after all this time, it just has the right kind of charm that juts keeps on making me want to play it again and again. Hopefully TellTale will at least express interest in making a VTM game for us RPG players for nostalgia. XD Sure its selfish but man I would buy the game in a heart beat. Some bloody great ideas on here!! I think telltale should do a signs movie game! (Different characters of course) I would post a pic but I don't know how.. I would love to see an X-Files game done like the Walking Dead 0r Wolf Among us. I second the idea of a Doctor Who Game - letting you play as the Doctor (I'd go with David Tennant's Tenth Doctor), possibly choose from a selection of three possible companions at the end of the first episode and take them through the rest of the game. Maybe also letting players select at the beginning of certain adventures where to go in time and space within the TARDIS, leading to different eras, monsters. supporting cast and more. Topped with a big bad as the main danger, akin to the Bad Wolf or River Song Arc to tie the Season together. Also lately I've been thinking of Vertigo properties which Telltale could tackle now they've got Fables in Wolf Among Us and I thought that I would love to see a New Deadwardians game. Set in a world where the Victorian era has never really ended and a Zombie Plague resulted in many of the Upper Classes purposely making themselves Vampires. 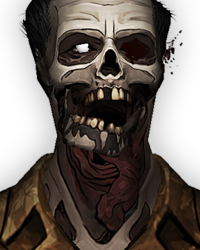 What was great about the mini was it really didn't focus on any kind of 'Zombie and Vampires are killing lots of people' thing but rather made this world of pleasant but unsettling and detached people who feel very little, the main character having becoming a vampire out of duty during the war against Zombies. London is divided into all these Zones and the rich poor divide is really evident. So something set in that universe would be awesome. And action in to it, now that's a game I would buy! But I still think SIGNS the movie would be the best telltale game to date! Who's with me? I would show pics buti don't know how to use this site so well.. I bet they would make a cool game about Supernatural and Vampire Diaries..
How about a DC property, given they've done a Vertigo one. Not a big namer like Superman or Batman, but say someone like Deadman or the Doom Patrol?